The Cleveland Cavaliers downed the Clippers in Los Angeles last night 108-101 thanks to some mega-clutch fourth quarter play from Dion Waiters (with a little help from Kyrie Irving). Waiters hit back-to-back threes in the final minutes to hold off Chris Paul and Blake Griffin, and the result put big smiles on the faces of Cavs fans. 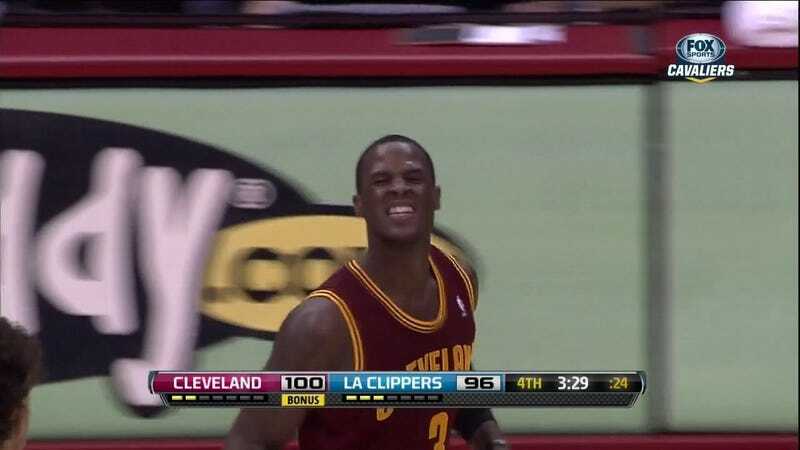 None bigger, though, than the grin on Waiters's face.